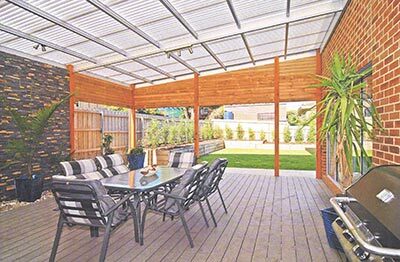 With those of us in the southern states dusting off the winter hibernation and looking forward to spending more days and evenings outside, it’s a great time to reassess your Adelaide outdoor living space. Is it large enough? Does it have the features you want? Is the roof likely to collapse in the next big wind? Do you want to make space for a new outdoor kitchen or spa? If your existing outdoor area is old, chances are that not a lot of thought went into the design. With Outside Concepts, the design is paramount, so we take a lot of time to discuss your requirements before providing a free design and quote. We also ask a lot of questions, to help us determine your needs. Do you need a large area or a small intimate zone? Do you want a roof or prefer an open deck? What materials do you want to utilise in your new Adelaide outdoor living area? Do you want an outdoor area that matches your inside zone to create a seamless transition from inside to outside? We’ll help you answer these and other important questions to help us design the perfect outdoor living area for you. So what are you waiting for? Phone Outside Concepts today on 1800 601 674 and we could have you, your family and your friends enjoying your new outdoor area by Christmas! Outside Concepts builds great things and we can help you build a great Adelaide outdoor living area. Call now for a free Quote 1800 601 674.